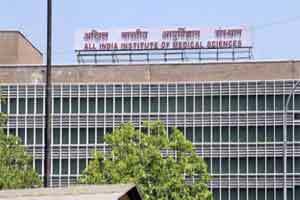 New Delhi: Three persons have been arrested here on charge of duping two dozen AIIMS employees on the pretext of booking air tickets under the leave travel concession (LTC) tour package, police said. “The victims were cheated of several lakhs of rupees,” Deputy Commissioner of Police Vijay Singh said. Gang mastermind Ashwini Singh, 29, was arrested along with Bhavesh Paleja, 45, and Om prakash, 21, from different places in the city on Monday after a complaint by eight staff members of All India Institute of Medical Sciences (AIIMS) at south Delhi’s Hauz Khas police station on May 12. “A few days after taking money from the complainants through cash and cheque, the accused started to avoid them and finally stopped responding,” the officer said. Ashwini, a computer science graduate, started a tour and travel agency in 2013 and was arrested in a similar case in 2014 on charge of cheating some government employees. Paleja, who hails from Mumbai in Maharashtra, came in Delhi in 2014. He along with Ashwini started a company B.B. Holidays Pvt. Ltd.
“In the initial days, they got good business and earned profit. But later they started cheating people. Om prakash joined them in 2015 through one of their acquaintances,” said the police officer. GUEST BLOG: Medical Profession - A Wake Up Call!! !